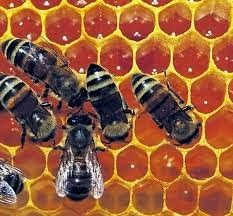 Propolis, or bee glue is a substance produced by honey bees. 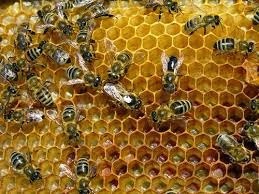 Collected by bees from the tip of young leaves and then mixed with saliva, are used for patching and sterilize the hive. Propolis is a disinfectant (anti bacterial) that kills all the germs that enter the hive. covering the nest with bee propolis to protect all who are in the nest is from the invasion of germs, viruses, or bacteria. 16 Essential Amino Acid chain required for cell regeneration. Bioflavonoids, which is an anti-oxidant as a supplement to the cell. According to research, the content of Bioflavonoids on a drop of propolis produced the equivalent of bioflavonoids from citrus fruit 500. Diseases associated with bacteria, such as: typhoid, diarrhea / vomiting and so forth. Can also to smell armpits are very disturbing, because in the armpit crease contained bacteria or fungi that cause odor. Diseases associated with viruses, such as: dengue fever, flu, tuberculosis and so on. Diseases associated with fungi, for example: eczema, skin fungus, vaginal discharge, dandruff, and so forth. Anti-inflammatory (infection and injury), such as: ulcers, wounds, sore throat, toothache, inflammation of the kidneys, bruises, burn and so forth. As an anti-cancer and mutagenesis of cells, for example: cancer, tumors, prime, cysts, and so forth. Serves to cleanse and detoxify the blood vessels or the disposal of toxins, such as uric acid, cholesterol, trigliserin, high blood pressure, heart disease, stroke, diabetes mellitus and so forth.